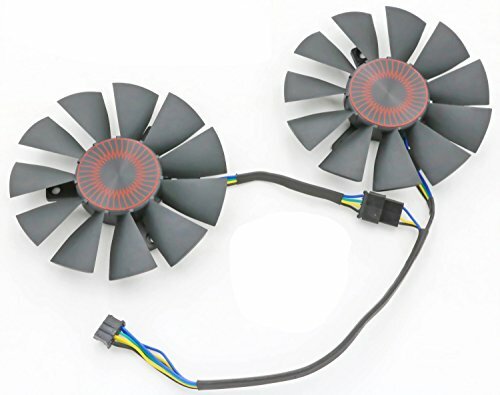 Replacement Video Card Cooling Fan For STRIX GTX 960 GTX950 GTX 750TI R9 370 Graphics Card Fan 75mm 4Pin by Tebuyus at Pacs BG. Hurry! Limited time offer. Offer valid only while supplies last. View More In Graphics Card Fans. If you have any questions about this product by Tebuyus, contact us by completing and submitting the form below. If you are looking for a specif part number, please include it with your message.